It is about time that we get to see a full throttle City performance, tomorrow is the time to to show us one. A draw or a loss is no good to us, we had some results go for us a little today and we need to take advantage. We face a team that has been a little inconsistent this season, Fulham certainly haven't done as well as I thought they would up to now. It is actually kind of worrying for us that they have been inconsistent because I can't see that carrying on for long, it is only a matter of time before they get consistent and consistently good at that. 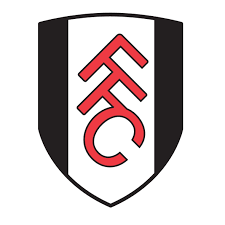 Fulham are a great example of what a lot of managers in the premier league are instilling into their average teams, the are very organised and work hard for each other. So Fulham are definitely good as a unit but I am not so sure that they have a player within the team to provide a spark, I am a big fan of Dempsey and I like the way he plays, if anyone was going to provide a spark for Fulham I reckon it would be him. In all honesty I am not really worried about Fulham posing a threat to us, we should be winning games against teams like Fulham at home and that is no disrespect to Fulham, more of a view on what I think City should be capable of. I am expecting some big displays from certain people tomorrow, it is certainly about time that SWP pulled his finger out. Hughes seems to be happy letting the rest of the team carry him at the moment but that surely can not go on much longer, he needs to prove that he is worth his place. Adebayor is another player who needs to play better against Fulham, he was rubbish against Wigan and that is something we do not need from our big players. Kolo Toure is expected to return to the side after overcoming his heel injury, Craig Bellamy should also return to the side after being out injured. Nedum Onuoha (thigh), Benjani Mwaruwari (thigh) and Robinho (ankle) are still out. Pablo Zabaleta will miss out due to suspension. Fulham have quite a few injury problems with Danny Murphy, Simon Davies, Andy Johnson and Dickson Etuhu all out for the visitors. John Pantsil is expected to start at right back, replacing Stephen Kelly. Damien Duff is also expected to come back into the starting line up. 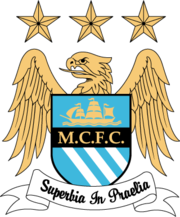 Possible Man City Line Up: Given, Richards, Lescott, Toure, Bridge, Wright-Phillips, Barry, De Jong, Tevez, Adebayor, Bellamy. Possible Fulham Line Up: Schwarzer, Pantsil, Hughes, Hangeland, Konchesky, Gera, Baird, Greening, Dempsey, Kamara, Zamora. My Prediction: Man City 4 - 0 Fulham. Worth A Bet: Bellamy scores two and Tevez grabs one in a 4 - 0 City win. Benjani has a thigh problem, if he has been training great maybe he will be back soon but he is injured.